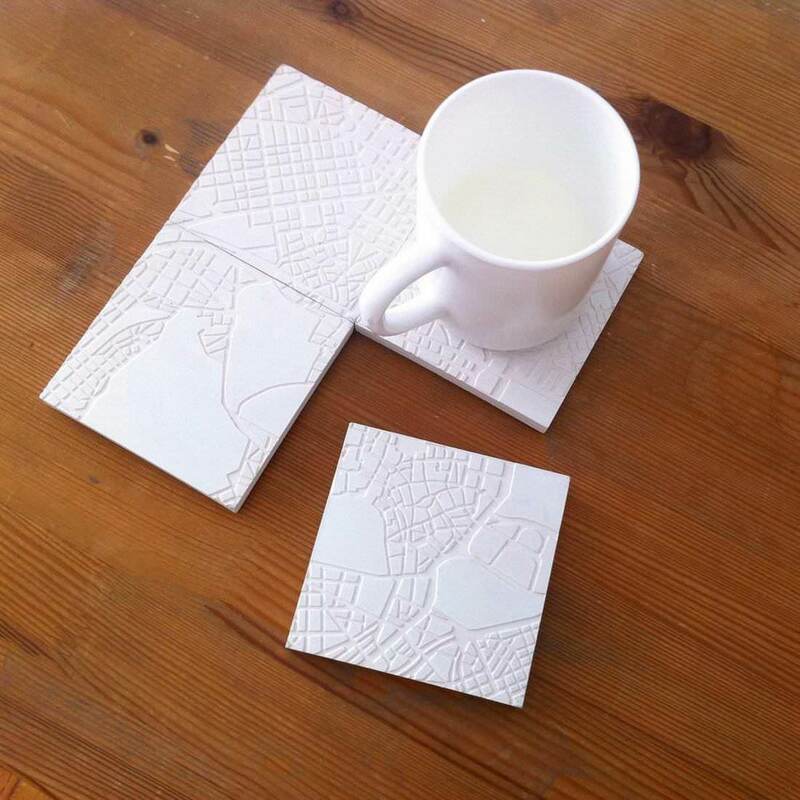 Recall your fondest memories of Athens whenever you use the Concrete Cities Coasters! Strolls on Acropolis and Filoppapos Hill, walks in Plaka and the national Gardens, the nightlife in Psirri, it all comes back to you every time you take a moment to enjoy your favorite beverage. 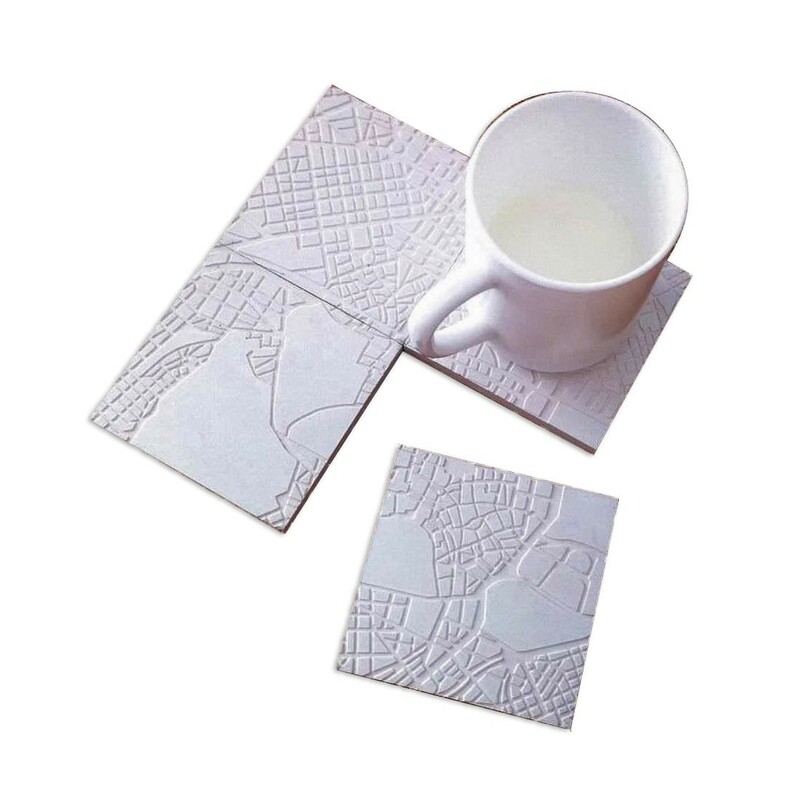 This Athens Fragments White Concrete Coasters have the same design as the original Athens coasters, but in a special white cement mixture. 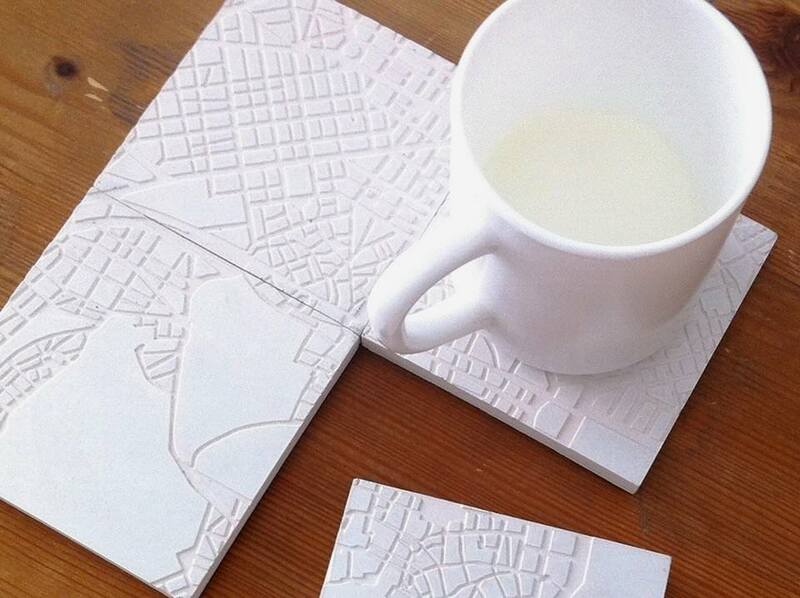 The Concrete Cities collection brings to you mappings of favorite cities around the world in concrete. 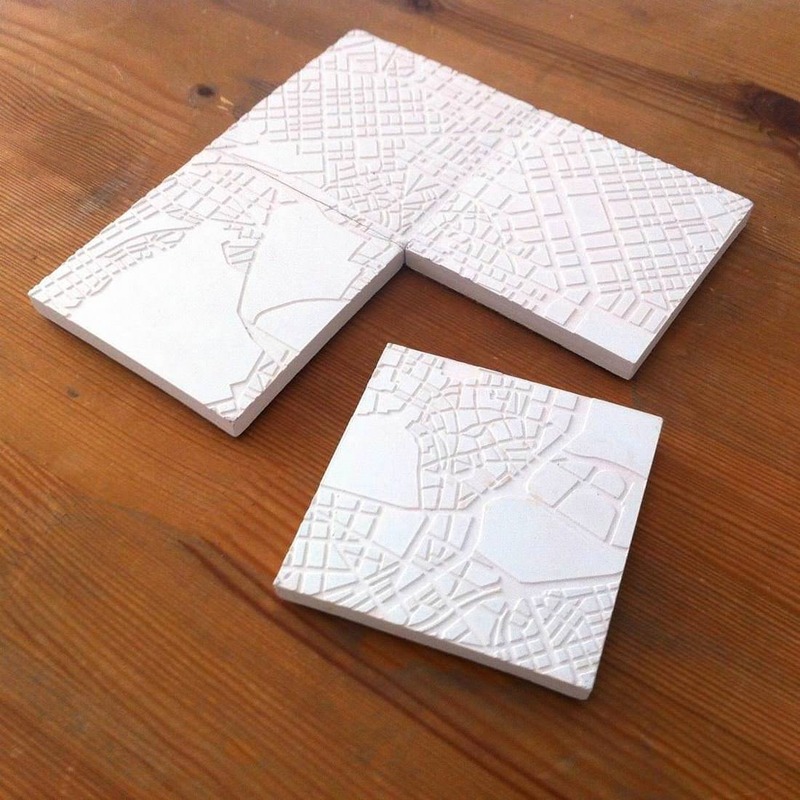 This hand-craft series that spans from concrete coasters to wall and table art pieces, draws inspiration from the materiality and patterns of the urban environments and stands out for its focus on detail and application techniques. 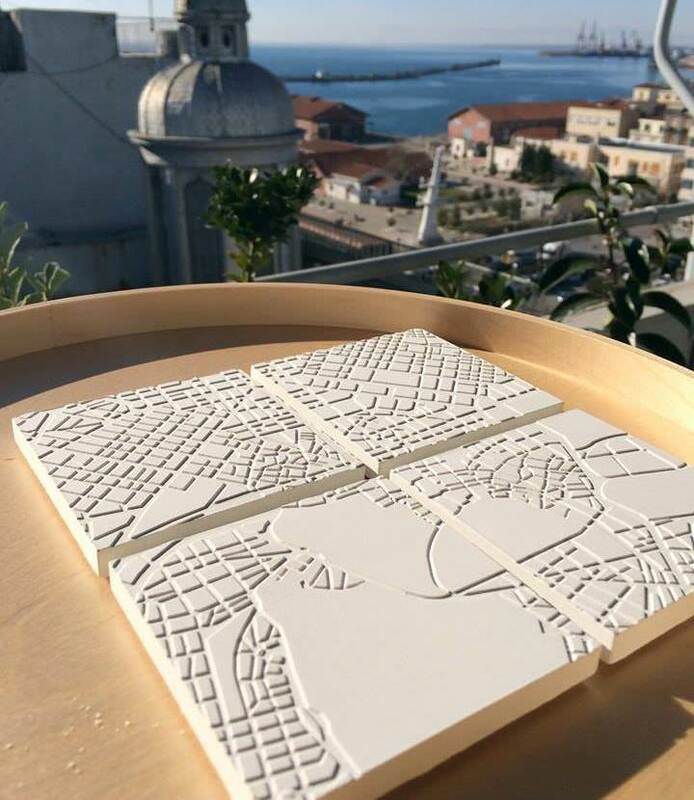 Using the city center map as a starting point, the designers transformed it into a three-dimensional every-day use object, the coaster, inviting the user to recall memories of his visit and his walks in the city, while enjoying a cup of coffee. 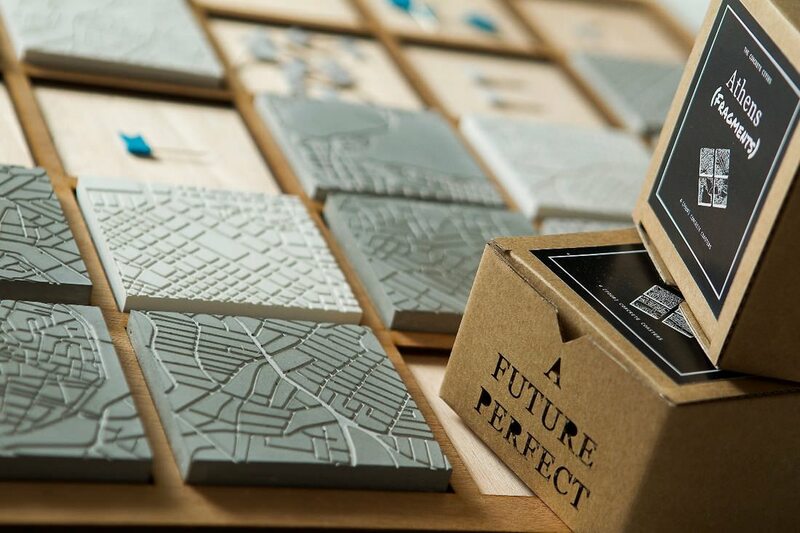 The souvenir became an object of aesthetic and design value, as well as sentimental, and concrete was selected as the material that expresses with minimalism, clarity and elevated aesthetics the urban life and memories. The collection items are produced using a special cement mortar, product of several material and proportions experimentations, specially treated for a matte, water-resistant finish, also featuring an added cork tabletop protection on the bottom. Cork bottom for tabletop protection.